Prime Financial Strategies, Inc. is a Colorado State Registered Investment Adviser (license # IA334). Jeffrey B. Marks first incorporated the firm in the state of Colorado in 1989 and currently holds the following professional designations: Chartered Financial Consultant (ChFC®), Chartered Life Underwriter (CLU®), Accredited Investment Fiduciary (AIF®), Accredited Estate Planner (AEP®), and Chartered Federal Employee Benefits Consultant(ChFEBC℠). Jean C. Marks, Jeff's wife, joined PFS in 1995, becoming the first additional family member of the firm. Jean has an extensive medical background providing a unique perspective to our insurance operations. 15 Years later, Neil J. 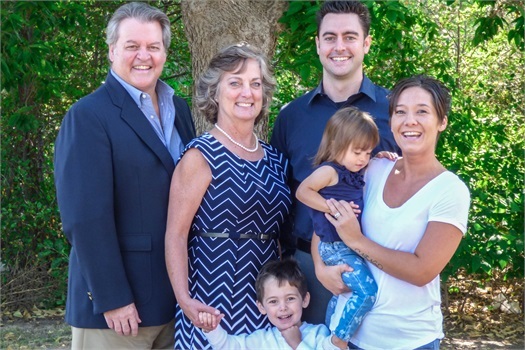 Marks, Jean and Jeff's son, returned to Colorado Springs to assist the family business and solidified the Family Financial Firm theme. Now a multi-generational firm, we seek to help all levels of the family structure. In 2015, Jacob McCloy left his former employer to seek the bright future of working with the Marks family he has known since 2000. Jeff, Jean, Neil and Jacob all hold securities registrations and Jeff, Jean and Neil hold insurance licenses. We have clients all over the United States and maintain securities registrations in AK, AZ, CA, CO, DC, FL, IA, IL, MA, MD, MI, MN, ND, NJ, NM, NY, OH, SC, SD, TX, UT, VA, WA, and WI, and insurance licenses in various states as needed. While we meet with clients at our Colorado Springs location, we also offer face to face client meetings via Fugent video conferences making it easy to help clients, their parents and their children anywhere in the country.